Part of BSC's fantastic 2016 Season! Deirdre Madigan (Beth) Broadway: A Delicate Balance, Who’s Afraid of Virginia Woolf, After the Night and the Music. Off-Broadway Exit Strategy, Barbra’s Wedding, Major Crimes. Other Regional Theatres: Philadelphia Theater Co, Bucks County Playhouse, Westport Country Playhouse, Two River Theatre, Merrimack Rep., Denver Center, Intiman, Cincinnati Playhouse in the Park, George Street Theatre, Rep Theatre of St. Louis, Virginia Stage and Pioneer Theatre. TV: Marvel’s Daredevil, Elementary, The Good Wife, Law and Order, Law And Order: C.I. Eli Pauley (Sylvia) Originally from rural Winnebago, Illinois, Eli is elated to make her BSC debut. Recent credits include OKAY (UglyRhino), Dracula (Williamstown), and Downsizing Camus (The Apothetae). Recent workshops include The Penalty (Public Theater). 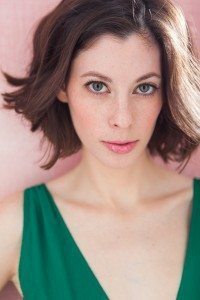 She holds a BFA in Acting from Rutgers Mason Gross and is a proud graduate of the Interlochen Arts Academy. Thank you to Jenn and Julianne for this opportunity, and to Pat McCorkle for her continued faith. Love and gratitude to Mom, Dad, Abby, Anders, and Danika. Justine Salata (Ruth) is ecstatic to be making her BSC debut with this beautiful production. Regional: 4000 Miles (Actors Theatre of Louisville), Peter and the Starcatcher (Pioneer Theatre Company and Victoria Theatre Association), Papermaker (Portland Stage Company). New York: Lovers (TACT), As You Like It (NYSF), Ghosts (Extant Arts Company), Richard III (New York Classical Theatre). Film: The Disappearance of Eleanor Rigby, Paper Dreams. TV: Alpha House, Inside Amy Schumer, Orange is the New Black, Royal Pains, Curb Your Enthusiasm. She is a TACT company member and a graduate of the IU Bloomington Theatre and Drama Department. Jenn Thompson (Director) is thrilled to return to BSC after having directed last season’s Lost in Yonkers. 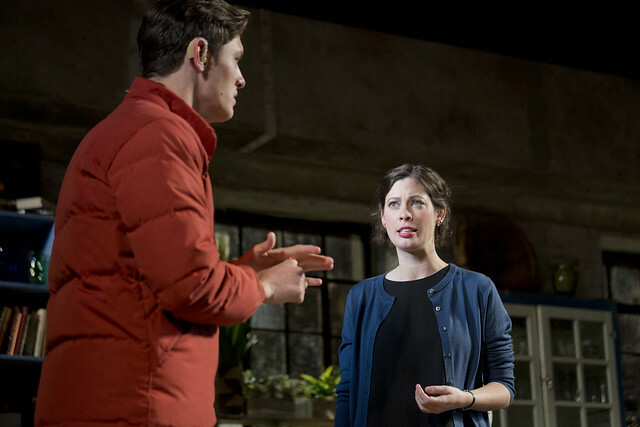 Her recent production of Women Without Men, for Off Broadway’s Mint Theatre Company garnered 2016 Lortel and Off Broadway Alliance Award nominations for Outstanding Revival as well as 5 Drama Desk Award nominations including Outstanding Director and Revival. 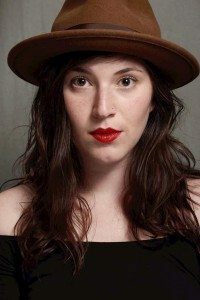 Jenn served as Co-Artistic Director of Off Broadway’s TACT from 2011 to 2015, directing the critically-acclaimed productions of: Abundance (2015 Off Broadway Alliance’s award – Best Revival); Natural Affection ; Lost in Yonkers (2012 Drama Desk nom. ); The Memorandum; The Late Christopher Bean; Bedroom Farce and The Eccentricities of a Nightingale. Other NY theatre: NYC premiere of Pratfalls (The Abingdon); the world-premiere musical Seeing Stars (NYMF); Badge (Rattlestick); The Brilliance of Bernstein (AMP) and Big Doolie (FringeNYC). Regional credits include: Bye Bye Birdie (Goodspeed Opera House), The Call (Hartford TheaterWorks), Angel Street (St. Louis Rep), Peter and the Starcatcher and The Philadelphia Story (Pioneer Theatre Company); Vanya and Sonia and Masha and Spike (Denver Center Theatre); Grounded (City Theatre Pittsburgh), Abundance (Hartford Stage, Connecticut Critics Circle nom. : Outstanding Director); The Syringa Tree (Portland Stage Company); All in the Timing, Noises Off, Barefoot in the Park and Boeing Boeing (Dorset Theatre Festival where she is a resident dir. ), as well as 19 seasons with Connecticut’s award-winning River Rep at the Ivoryton Playhouse. A 2012 finalist for SDC’s Joe A. Callaway Award for excellence in directing. Jenn is married to actor Stephen Kunken and mom to Naomi. 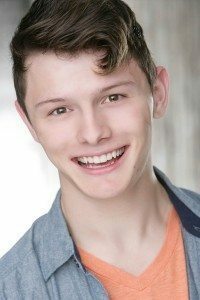 Toby Algya (Sound Designer) Barrington Stage: Lost In Yonkers. NYC: Widower’s Houses, Dark Vanilla Jungle/Tonight With Donny Stixx, H2O, Hard Love, Abundance, Natural Affection, Lost In Yonkers, Awake and Sing!, Philip Goes Forth, Tender Napalm, Whida Peru, Mosaic, Rosmersholm, Ringmaster, Human Variations, Pratfalls, Where’s My Money, The Invested, Hamlet, Fantasy Football: The Musical?. Regional: Shakespeare Theatre of New Jersey, Lyric Theatre of Oklahoma, Trinity Shakespeare Festival, Hartford Stage, City Theatre – Pittsburgh, Portland Stage, People’s Light and Theatre, WHAT, Asolo Rep., South Coast Rep., La Jolla Playhouse. MFA UC San Diego. Alex Basco Koch (Projection Design) creates projections for theater and live events. Projections design on Broadway: Irena’s Vow (Walter Kerr). Selected Off Broadway/downtown credits: Bullet for Adolf (New World Stages); Goodbar (Waterwell, The Public’s Under the Radar Festival, 2012); P.S. Jones and the Frozen City, Feeder (TerraNOVA Collective); En el Tiempo de las Mariposas, La Casa de los Espiritus (Repertorio Espanol); ReEntry, The Oxford Roof Climber’s Rebellion (Urban Stages); Lenin’s Embalmers (Ensemble Studio Theatre). Regional: Marley (Center Stage, Baltimore); The Invisible Man (Court Theatre, Chicago; Studio Theatre, Washington DC; Huntington Theatre Company, Boston); ReEntry (Center Stage, Baltimore; Round House, Washington DC; Actors Theater of Louisville); 33 Variations (Capitol Repertory, Albany); La Casa de los Espiritus (Teatro Espressivo, Costa Rica; Mori Theater, Chile). 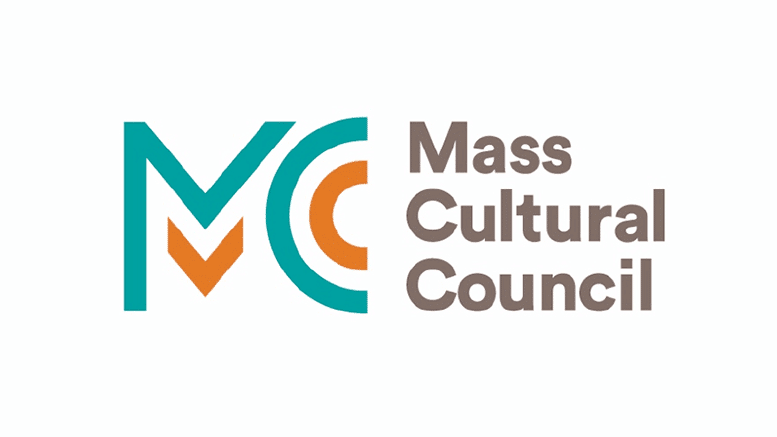 Additional collaborators: the Director’s Company, Theater MITU, The Woodshed Collective, the Assembly, SummerStage, Little Opera Theater, Dixon Place, Electric Pear, Shalimar and the New Ensemble. 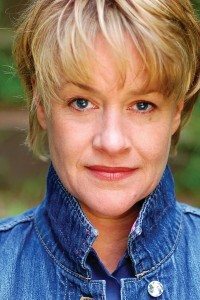 Tracy Christensen (Costume Designer) recently designed Sunset Boulevard for London’s English National Opera, starring Glenn Close, and West Side Story for Carnegie Hall’s 125th Anniversary celebration. Other projects: The Call (Theaterworks Hartford), The Other Place (Alley Theater), Guys & Dolls at Goodspeed Opera House (CT Critics Circle nomination), Sweeney Todd (starring Emma Thompson), Lady Day at Emerson’s Bar & Grill (HBO, starring Audra McDonald), Buddy (MUNY), The Harassment of Iris Malloy (People’s Light), Company (starring Neil Patrick Harris), Souvenir (Broadway), Abundance (Hartford Stage), Seussical for TheatreworksUSA (Lucille Lortel nomination). 10 seasons: Chautauqua Theatre Company. Faculty: SUNY Purchase for costume design. www.tracychristensen.com. Chris Matthews (Interpreter) is a nationally certified interpreter. He graduated with his Bachelors degree from Northeastern University in 2012 and is currently working as a freelance American Sign Language/English Interpreter in New York. 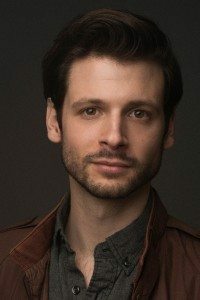 Primarily he works in educational and business settings but also works interpreting for actors in theater, film and television. John McDermott (Scenic Designer) BSC: peerless, Lost in Yonkers. Transfers at NY Stage and Film, Sense & Sensibility, The Seagull, Saint Joan, Hamlet, New York Animals for Bedlam. A Midsummer Night’s Dream at The Pearl. Measure for Measure, Macbeth, As You Like It at Hudson Valley Shakespeare Festival. The Taming, Ugly Lies the Bone, Red Velvet, The Comedy of Errors, Sotto Voce at Shakespeare and Company, The Wild Duck at Bard Summerscape, Dear Elizabeth, The Scene, Red at Dorset Theater Festival, The Revisionist, 3C, Where We’re Born, The Undeniable Sound of Right Now, Killers and Other Family, Ashville at Rattlestick. Dry Land, Cal in Camo and Everything is Ours for Colt Coeur. Asst. Professor Adelphi University. Philip S. Rosenberg (Lighting Designer) BSC: Much Ado, See How They Run, Sweeney Todd. Broadway credits include The Elephant Man, A Gentleman’s Guide to Love and Murder and It’s Only a Play. Off Broadway credits include The Ruins of Civilization, The Explorer’s Club and Cactus Flower. Regional credits include productions with: Kennedy Center, La Jolla Playhouse, Chicago Shakespeare Theatre, Ford’s Theatre, Guthrie Theater, The Old Globe, TheatreWorks, Huntington Theatre, Portland Stage Company, TACT, Williamstown Theatre Festival, McCarter Theatre, Bay Street Theatre, Shakespeare Theatre Company, Dallas Theater Company, Hartford Stage, George Street Playhouse and Westport Country Playhouse. Renee Lutz (Production Stage Manager) Over 55 productions for BSC including Sweeney Todd, Man of La Mancha, Kiss Me Kate, Cabaret, Much Ado, Follies, etc. Most recent credit: Pericles for Theater for a New Audience directed by Trevor Nunn. 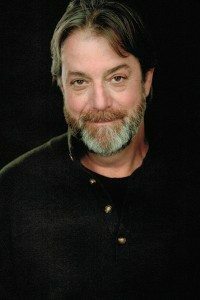 Numerous credits include: Hamlet, directed by Darko Tresnjak; Merchant of Venice, both national tour and the Royal Shakespeare Company; Hartford Stage; ART; New York Public Theatre; Playwrights Horizons; Manhattan Theater Club; Signature; Classic Stage; Coconut Grove and others. Her very best credit and longest run is her husband, actor Gordon Stanley. 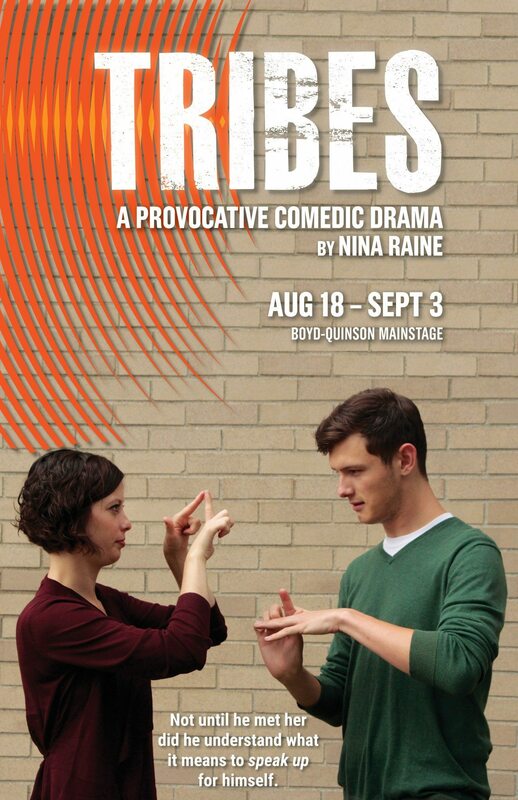 Winner of the 2012 Drama Desk Award for Outstanding Play, Tribes is a funny, yet moving, and always provocative play about a young man who was born deaf into an unconventional hearing family. It’s not until he meets Sylvia, a young woman on the brink of deafness, that he finally understands what it means to “speak up” for himself. A panel discussion focused on lip-reading versus signing, and why the debate over communication is such a hot topic. Call the Box Office for reservations.